We are counted amongst the reckoned manufacturers, suppliers and exporters of extensive range of Waterproofing Polymers that are coated in cement, concrete, wood plaster, masonry, fibrous and different other substrates. These products form the excellent bonding and are used in different adhesive, construction and sealant formulations. They are thermostatically balanced in nature and are coated in nonferrous, steel and iron products. 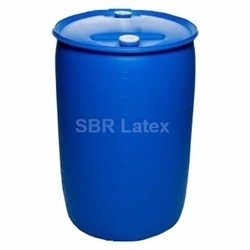 We are counted amongst the reckoned names in the industry, offering quality assured range of SBR Latex for Waterproofing that is a water-based non-ionically stabilized hydrolysis-resistant dispersion that is a styrene composite carboxylated -butadiene co-polymer. The dispersion of the entire product range is freeze-thaw stable and contains quality tested range of antioxidant and is compatible with hydraulic binders. ELASTOBOND SBR is used in the modification of hydraulic binders and includes the repairment of flooring, mortar, flooring, bonding, and mineral sealing slurries and is also used as cement based adhesive. Our products are free from added impurities and are free from plasticizers. CPS SP.1, 12 RPM at 25 ºC : 300 max. Being the leading firms in the industry, we offer our clients a comprehensive range of Acrylic Polymer for Waterproofing that is used for easily modifying the hydraulic binder for smooth and flexible range for flexible cementitious coating. Our entire product range is manufactured using technically advanced state-of-the-art emulsion polymerization technology thereby ensuring product consistency. Moreover, we offer them at most affordable rates. Compatible with all grades of cement, thickeners and fillers. 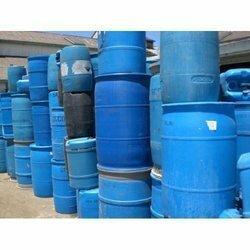 Economical Water Proofing Polymer is a speciality styrene acrylic based high performance polymer for waterproof cementitious coating in slurry form and cement/ sand mortar form. 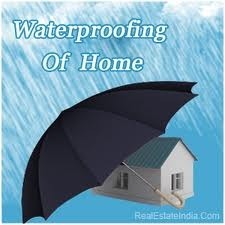 The product has excellent waterproofing and protection properties. Preparation of Surfaces to be treated is of utmost importance. The surface should be clean free from any bitumen, oil, grease and loose particles. All laitance and loose particles should be removed by wire brushing and all undulation and cracks should be filled with made good using Elasto Repair systems. In case of badly honey combed surfaces give a layer of screed or plaster to make it worthy to receive the treatment. Mix 2 parts of cement with 1 part of Elasto Supercrete polymer till smooth consistency results. Apply this slurry in two coats on the surface within 4 hours interval. Simple moist curing is required. For strengthening cement paints, add 10-15% of Elasto Supercrete by wt. of cement paint. We offer our product with a brand name Elasto. RPM at 25° 100 CPS max. Looking for Waterproofing Polymers ?